Chronic pain from peripheral neuropathy and other neuropathic conditions can undoubtedly take a toll on your daily routine. While the pain may keep reoccurring due to its chronic nature, there are treatments that can help treat and manage it, such as Intramuscular Stimulation. 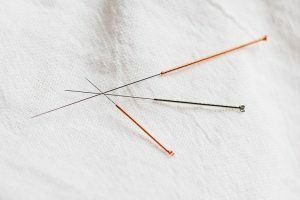 Commonly referred to as IMS (for short) or dry needling, IMS is an effective treatment for patients suffering from musculoskeletal problems and stubborn chronic pain. 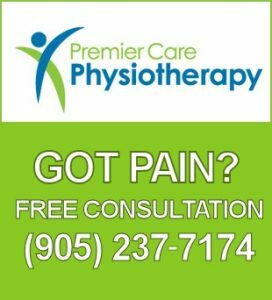 At Premier Care Physiotherapy, our team of highly skilled therapists in Richmond Hill understand that neuropathic pain can be detrimental to one’s quality of life. That’s why we make it our priority to provide patients with effective pain management solutions, starting with IMS treatments — proven to provide lasting relief to patients with chronic neuropathic pain. What is an IMS treatment? During IMS treatments, a licensed physiotherapist will insert very fine needles into the body to stimulate specific parts to reduce tension and relieve pain for patients suffering from chronic conditions. However, while the thought of having needles penetrate through your skin may seem daunting at first, many patients who have received IMS treatments describe the process as virtually painless (if they have normal muscles), or a slight sensation of a muscle cramp (if they have shortened or super-sensitive muscles). This cramping sensation described by patients is a direct result of their muscles successfully grasping onto the needle inserted; when this happens, the abnormal muscle is intensifying and releasing, allowing patients to fully experience pain relief. Who Can Benefit From IMS Treatments? What are the Benefits of IMS Treatments? The main benefit of an IMS treatment is pain relief. During an IMS treatment, the neuropathic muscle shortening is released and super sensitive nerves–along with the areas that they serve– quickly become desensitized. In this case, the “release” allows the muscle to resume its normal function and state, alleviating pressure and irritation (which caused the mechanical pain in the first place) around the nerve. How Often Are IMS Treatments Necessary? Generally, IMS patients receive treatment once a week; this allows the patient’s body to heal itself between treatments, ensuring the best results possible. However, it should be noted that the number of treatments required to achieve complete relief depends on the severity of each patient’s condition. When receiving IMS treatments from our licensed physiotherapists, you can expect to receive a personalized treatment plan to meet your needs. Factors that could increase the amount of IMS treatments required include: the duration and extent of a patient’s symptoms, the presence of scar tissue, and how quickly the patient’s body is capable of healing itself. Interested in receiving IMS treatments, but not sure if you’re a suitable candidate? Contact our physiotherapy clinic in Richmond Hill today to schedule a free consultation with one of our physiotherapists.